Cults, along with April 16th’s Record Store Day event, will be releasing 1000 limited edition 7” etched vinyl’s of ‘You Know What I Mean’ through all participating independent record stores. This vinyl is odd the highly awaited debut album of the duo (to be released 30th of May) via In The Name Of / Columbia Records. Preview this dreamy track below! HOW COULD ONE NOT LOVE A JENS LECKMAN TRACK? MARVELOUS – FANTABULOUS. (I rarely use this word but I feel uninhibited just now). I’ve always kept my opinions on Ratatat’s music brief. So by tradition, I’m going to leave you with this amazing song. Buy their LP4, here. The mid tempo jam served up by Usher featuring Jay-Z and Ester Dean is not to be taken lightly of. The more serious rap and rnb turn of this track makes me look forward to the vocals of the version featuring Ciara as well. Not gonna lie, I *kinda* dig some of her stuff. Some. I’m still warming up to this song but I’m already giving it a thumbs up. It feels though like its not finished, so the judgment day will come when the collab with Ciara comes out. Will it be a remix? I sure hope so. I wanna see these two grinding up in the music video. Even if a Hot Toddy won’t be my choice of drink while watching it. 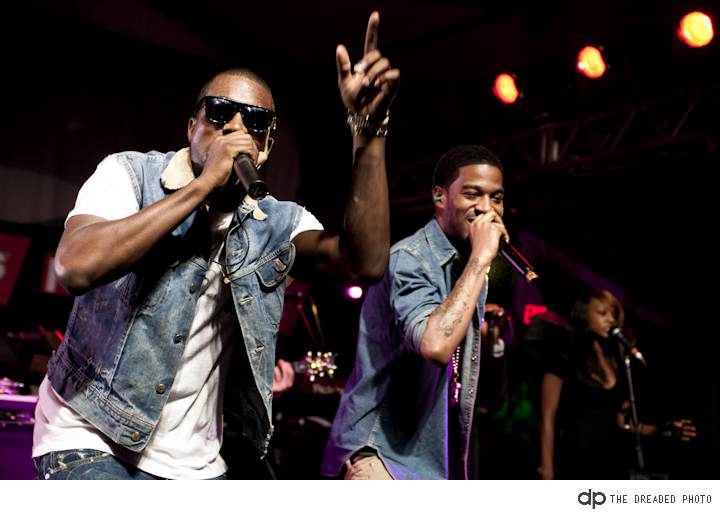 This new one from Kid Cudi featuring Kanye West was premiered recently in KIISFM and was said to be the first single from Cudi’s forthcoming album Man On The Moon II: Legend Of Mr. Rager. Hey, what about REVOFEV? This sounds entirely un-Kid Cudi to me, if there’s a word for it. Kanye says the word “diarrhea” (verbal diarrhea you mean?). It’s something mainstream hip-hop or rap would sound, of which I’m not sure is a good thing. Radio rip is okay, a decent 160 mbps so you stream and download it. Credits to P&P. After a New York Times profile, the rapper M.I.A. threw a fit. She was eating truffle-flavored French fries while talking about terrorism. She is such a contradiction. And what is this that I hear – Diplo and M.I.A. being frenemies? Seems like M.I.A.’s opinions are drawing a lot of attention lately. With that said, let’s move on to her music, wich sounds incredibly unique. No doubt about that.